BEFORE THE PAGEANTRY and red carpet of the FIFA Ballon d’Or much of the pre-award discussion centred around the verity of Manuel Neuer or any German winning the award. Germany won their fourth World Cup in 2014, so if ever the Lionel Messi-Cristiano Ronaldo duopoly stretching back to 2008 were to end, surely it would end this year, and surely one of Die Mannschaft’s 23 man squad would scoop the prize. The absurd brilliance of the twin supernatural talents and the amalgamation of the old FIFA Player of the Year with the Ballon d’Or has rendered the award a populist triviality with an inevitable conclusion. Naturally, Ronaldo was voted the best player in the world for the fourth time, meaning there is still just one player from Germany to win the FIFA World Player of the Year. That man is Lothar Matthäus. Lothar Herbert Matthäus was a gargantuan footballer. The term ‘complete player’ is frittered around too often, but Matthäus could rightly lay claim to that. Equally adept in his own penalty box as in the opposition’s, Matthäus was a box-to-box midfielder capable of scoring numerous types of goals in the air or with either foot. He was quick, powerful, elusive and technically supreme. A set-piece expert, Matthäus was fearless and cold-blooded from the spot. He was also one of football’s inspirational leaders, a captain fronting others into battle. He was named German Player of the Year twice, the second award presented to him at the age of 38. As his physical attributes dwindled, his tactical nous allowed him to convert into an outstanding sweeper. In a 21-year career spent almost solely in the elite echelons of the game, Matthäus won every major honour he participated in, excluding the Champions League. Twice he lost in European Cup finals with Bayern Munich whilst leading 1-0 – only to lose 2-1 to Porto and Manchester United, respectively. 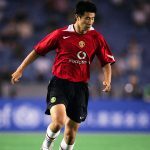 The famous 1999 final is etched in the annals of history as an iconic moment for United, but the image of a crestfallen and numb Matthäus parked to the bench as Teddy Sheringham and Ole Gunnar Solskjær scored in injury time, after being substituted just minutes before, is iconic. He also captained his national team to their third World Cup in 1990. Ode to his association with Bayern, some are surprised when they find out Matthäus’ prime years were in Serie A with Internazionale. Matthäus swapped Bavaria for Milan in 1988, joining Giovanni Trapattoni’s Inter alongside his West German teammate Andreas Brehme. Much has been written on the golden age of Italian football in the late 1980s and early 90s. Serie A was home to the best players, coaches and teams in European football. It was an opportunity for Matthäus to test himself. The challenge of Serie A, the ultimate proving ground, was too enticing for him to say no. When he joined, Inter were without a scudetto in eight years and trophyless in seven. 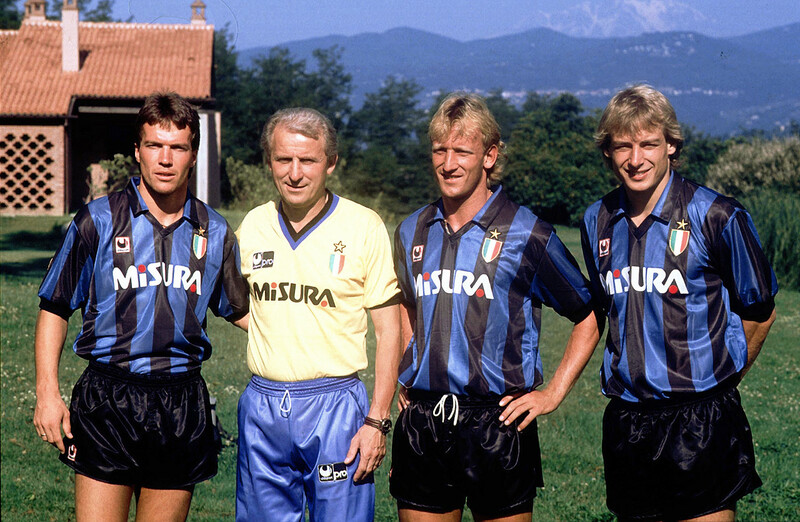 Trapattoni had managed Inter for two years at that point. Nerazzurri supporters were expectant, as the Italian had led arch-rivals Juventus to 13 major honours during a decade of decadence in Turin. In his first two seasons in Milan, Inter finished third and fifth, making strides towards future glory. They had bridged the gap between themselves and city rivals AC Milan, but something markedly different was needed for Inter to achieve domestic supremacy. Enter Brehme and Matthäus, who were signed from Bayern as two of their overseas players, back when Serie A clubs were only allocated three non-Italian nationals. Occasionally, a marque transfer transfixes supporters and has a galvanising effect on a squad: Eric Cantona at Manchester United, Diego Maradona at Napoli, Alfredo Di Stéfano at Real Madrid. Matthäus immediately and seamlessly bestrode the Giuseppe Meazza turf, imperiously raising the performances of those around him. In a tactically dependent league with stringently organised defensive line-ups, a standout playmaker was essential for any team harbouring scudetto ambitions. In previous years, Juve had Liam Brady and Michel Platini, Napoli had Maradona, and Milan had Ruud Gullit. 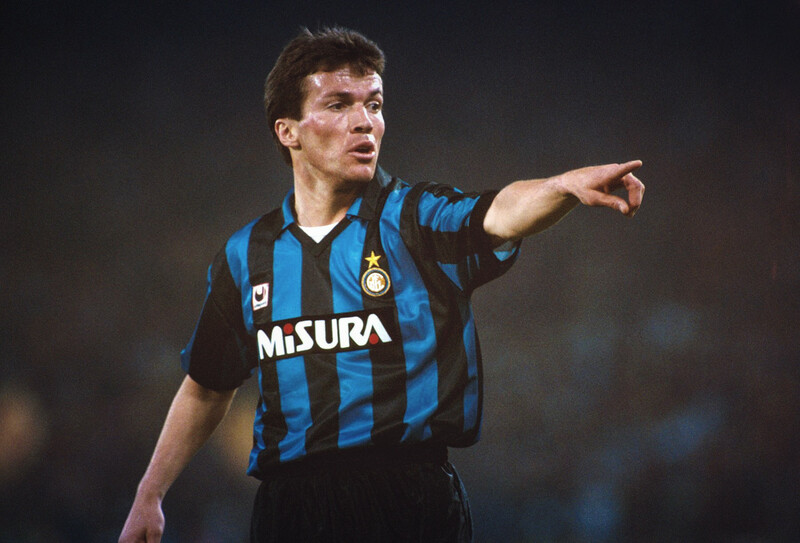 Resplendent in the number 10 shirt, Matthäus was Inter’s version. A box-to-box midfielder in the Bundesliga, Matthäus transitioned to a more modern, athletic, creative force in Italy. The Erlangen-born star was immediately indispensable in his first campaign. The injection of a world class talent to Inter’s ranks transformed performances. The primary example was striker Aldo Serena. Serena had scored nine goals for Torino in the 1984-85 season, 21 in two seasons for Juventus and just ten goals in three previous spells at Inter. With Matthäus supplying ample chances, though, Serena morphed into a prolific goalscorer. He won the Capocannoniere with 22 goals, largely due to the form of Matthäus, who scored 12 goals himself, including a late winner against their chief pursuers Napoli. Inter won the title by 11 points from the Naples club. It was their 13th scudetto, and the last league title Inter would win until the Roberto Mancini era in the late-noughties. The 1989-90 season was equally impressive for Matthäus individually, but one of disappointment for Inter. Matthäus and Brehme were joined by a third West German international, Jürgen Klinsmann, who had scored 94 goals in 186 matches for VfB Stuttgart. Klinsmann was touted as the final piece of the Inter puzzle, but he never quite matched his previous scoring exploits when he moved to Serie A. After garnering a total of 58 points in the previous season, Inter could only manage 44 during their title defence. From winning the scudetto by 11 points, they would relinquish the title by seven points to Napoli. More frustratingly, Inter were eliminated in the European Cup by Malmö in the first round of the competition – 2-1 on aggregate – as Leif Engqvist notched a late second leg goal in the San Siro to surprise the hosts. Even more puzzling was the Swedish club losing to KV Mechelen of Belgium in the next round. While 1990 was below expectations at club level, it would prove invaluable for Matthäus and his national team colleagues leading into that summer’s World Cup in Italy. Five West German internationals played their football in Serie A; Matthäus and his two Inter compatriots, plus Rudi Völler and Thomas Berthold at Roma. West Germany played five of their seven matches at the San Siro, with Matthäus scoring two in a 4-1 victory over Yugoslavia and another against the United Arab Emirates at his home ground. Matthäus scored again at the San Siro, this time from the penalty spot in a 1-0 quarter-final victory over Czechoslovakia. In the semi-final against England, Matthäus repeated his spot-kick reliability in the deciding penalty shootout. Even by his exalted standards, Matthäus was truly exceptional in 1990-91. He scored 23 goals in 46 games, with 16 coming in Serie A. Only Gianluca Vialli beat him to the Capocannoniere, and it was Vialli’s Sampdoria who stunningly won the scudetto. Samp practically clinched the title at the San Siro, somehow escaping with a 2-0 victory. Cruelly for Matthäus, it was he who came unstuck at a crucial moment, as he saw his penalty saved by Gianluca Pagliuca. Inter would have to settle for third, but some consolation arrived in the form of the UEFA Cup as they beat Roma 2-1 over two legs. Matthäus would correct his Sampdoria mishap, drilling a thunderous spot-kick past Giovanni Cervone. Matthäus was awarded the 1990 Ballon d’Or and the 1991 FIFA World Player of the Year. He received the famous Golden Ball at the San Siro. There was no red carpet, no gala meal, no Armani suits. Just a deserving player honoured in front of his adoring public. The following season was one of Inter’s worst in modern times, and it would also prove to be Matthäus’s last in calcio. Giovanni Trapattoni returned to Juventus and was replaced by Corrado Orrico, a journeyman coach who attempted a defensive game plan that did not suit Matthäus or Klinsmann. In fact, the two German World Cup winners would score just 13 goals between them in the entire campaign. As a collective, Inter would score just 28. Orrico was replaced by Inter’s legendary striker Luis Suárez, but the Nerazzurri still the recorded an unfathomable 17 draws and finished eighth in the league table. This marked the departure of Inter’s German trio as Klinsmann moved to Monaco, Brehme headed to Real Zaragoza and Matthäus returned to Bayern. Matthäus would go on to excel for Bayern and his country as a sweeper, winning a further four Bundesliga’s and completing his international career at Euro 2000 with a German record 150 caps. He had a short period in MLS with MetroStars, now known as the New York Red Bulls, but has had a less than distinguished managerial career. His most artisan and expressive days were spent in Italy, when Serie A was the strongest and toughest league in world football. Not only did Matthäus rise to the challenge, he mastered it. Most of all, he is revered and respected as an Inter legend. Matthäus’ achievements in Italy, highlighted by Maradona’s worthy praise, solidify his undoubted greatness.